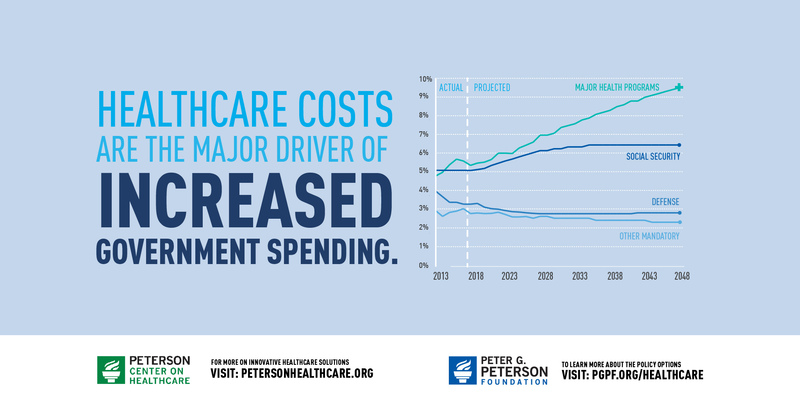 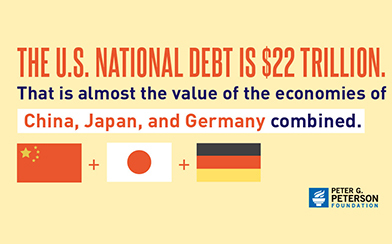 The rising cost of healthcare is one of the key drivers of our growing national debt, which crowds out important investments in our future economy, including priority areas like education, research, and development, and infrastructure. 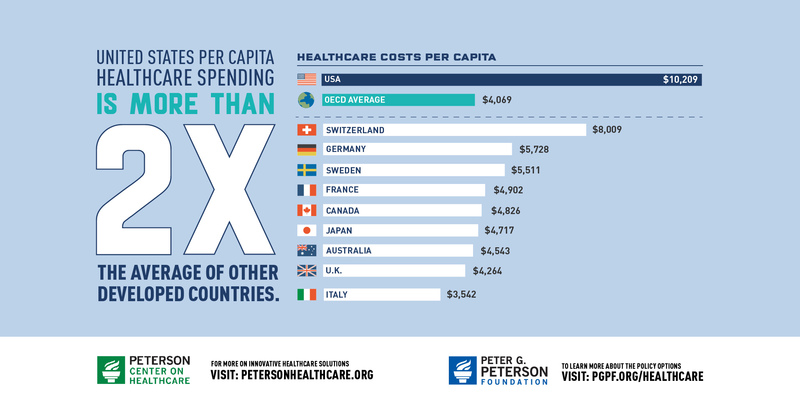 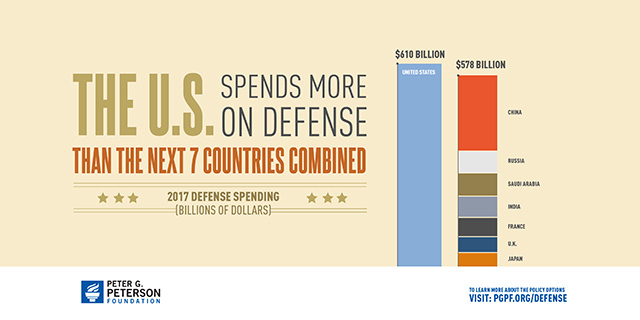 Although the United States spends significantly more per person on healthcare than other industrialized nations, our health outcomes are no better — and often worse. 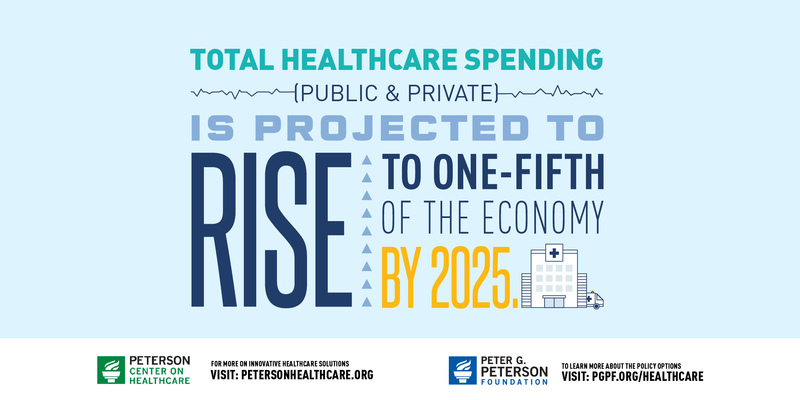 As lawmakers consider changes to healthcare reform, the infographic below highlights some key facts about the American healthcare system. 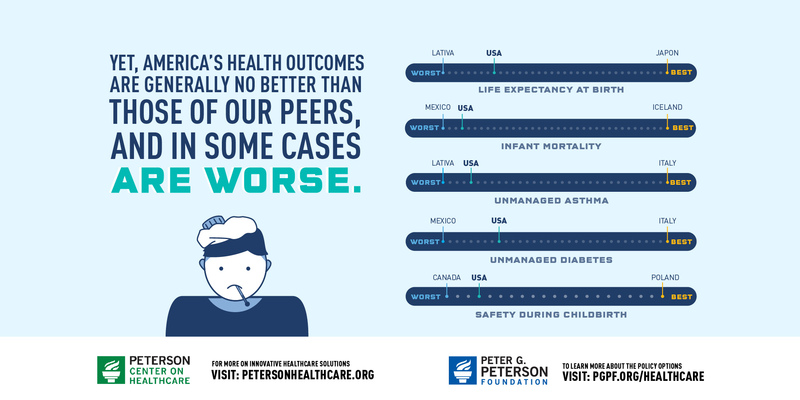 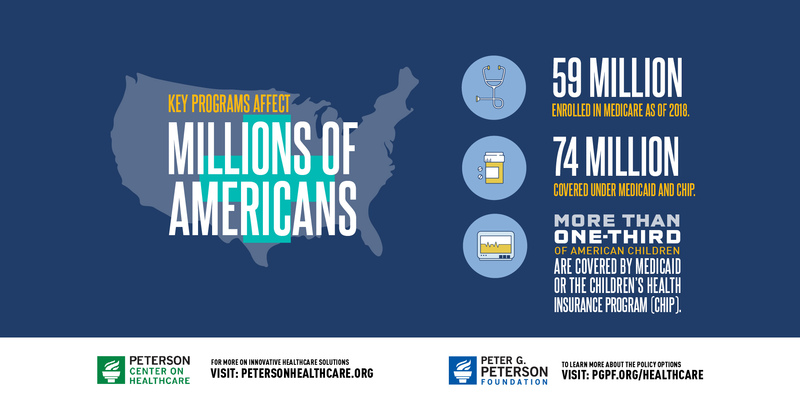 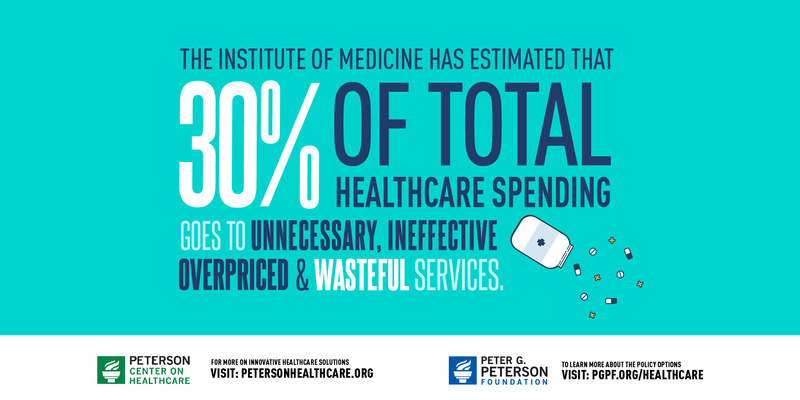 To learn more about possible policy options, see our discussion of healthcare solutions or visit the Peterson Center on Healthcare.